The Alfawise is superior to red and blue 3D effect. The visual impact is more three-dimensional so that you will immerse yourself in every living scene. Besides, the LED lighting provides 1800 luminous efficiency. Maximally supporting 1080P resolution with 2000:1 contrast ration, the Alfawise is ideal for home entertainment for the clear tableau. It provides a watching size from 34 inch to 130 inch with the projection distance between 1 - 4M. A projection distance of about 2M is the recommended viewing distance. What is more, energy saving lamps have a long service life of 20000 hours, giving you a high-quality life. Olá! LEIA MEU COMENTÁRIO BRASILEIROS E OUTROS!Primeiramente, comprei o dispositivo sem Android e o valor pago por esse aparelho vale a pena!2 - É perfeito para projetar 70 polegadas, por causa dos 2000 lúmens. Para tamanhos maiores que isso é melhor comprar um projetor de 3000 lúmens ou mais, mas são grandões.3 - É possível projetar em lugares claros, mas é preciso reduzir o tamanho da projeção, porque a lâmpada não é muito potente. As cores são boas e o contraste também.4 - O som dele é uma negação! Nem precisava ter isso. Eu uso uma caixinha de som.5 - Ele também foi feito para projetar reto para frente. Não adianta usar os recursos de inclinação, porque não presta. A inclinação faz desfocar a imagem nas laterais da tela.6 - Sua ventoinha faz pouco barulho, você não vai se importar.7 - A construção da Alfawise é melhor do que eu pensei. Talvez se aproxime da Xiaomi. (hmm)8 - Suas entradas e saídas de áudio e vídeo são suficientes pra mim.9 - O consumo de energia é muito pequeno. Minha geladeira gasta mais que ele.10 - As dimensões do aparelho me fizeram apaixonar por ele. Muito compacto, menor que o meu notebook.Não compre esse projetor achando que está comprando um projetor de 1000 dólares.Ele custa 10 vezes menos, então não reclame FDP!!! I was looking for not expensive middle quality android projector to mirror my phone screen (not only pictures and video from gallery). I was really confused with instructions in Chinese - spent 2 days to understand what the required Happy Cast app is... it was not available in the UK store. finally found miracast app, installed in projector, and easily connected with Samsung Galaxy S8. the problem is that in menu in Chinese there are too many interesting ideas to connect, but I can't use those opportunities.. simply do not understand what to do.. I think if producer declare that the product is global version. everything should be at least in English. pros: Chinese menu for connection with different devices/cons: good quality for not big money, I would recommend to my my friends. This is my first projector and I have nothing to compare this one to, but this is a great watching experience. In a completely dark room it displays a very nice picture on normal white-ish wallpaper, no special screen required. One flaw is that it is quite loud. Cooling system runs fullspeed right after you turn this thing on. It's not a big problem with the headphones, but maybe developers can add some curcuitry to keep the temperature at the safe range instead of making fans work at full speed. Prós - HD, Bonito, Dois sensores IR, fácil configuração, ótimo para ver um filme e futebol em HD, se o vídeo não estiver em 720p a qualidade cai consideravelmente.Contras- Laterias borradas aparti de 50 polegadas, não tem função 3d como descrito no anúncio, chato focar toda hora, entra poeira, preciso manter um pano por cima para não entrar poeira O meu chegou com vários pontos negros na tela, um enorme, GB até me devolveu um valor da compra para o reparo, foi preciso limpar o espelho.Não fui taxado, frete Suécia. It was a very good choice for home and my family's first projector.Good features:Definitely, it is a special projector, with an attractive price for all the advantages it offers.From its construction that meets all needs, to the possibility of connecting to almost everything.At home will be an excellent ally for entertainment.As you see, it is compact and so you can take it everywhere. -> Doesn't work well with lights on, need a dark room for best image quality.-> The cooler is a bit noisy. Fast delivery, item as expected. The projector is meeting my expectations in quality: great value for that extremely low price (~100$), but can not compete with business class devices. A good movie experience requires dark room, good quality screen, not less than 3 meters range and a connected sound system. Does Alfawise A12 Plus Projector support ceiling mounting? What type of 3D glasses do I need for work with this projector? How much RAM is in the android version? RAM: 1 GB, ROM: 8 GB. May I connect my phone through Bluetooth or WiFi with it? This is available in the stock? 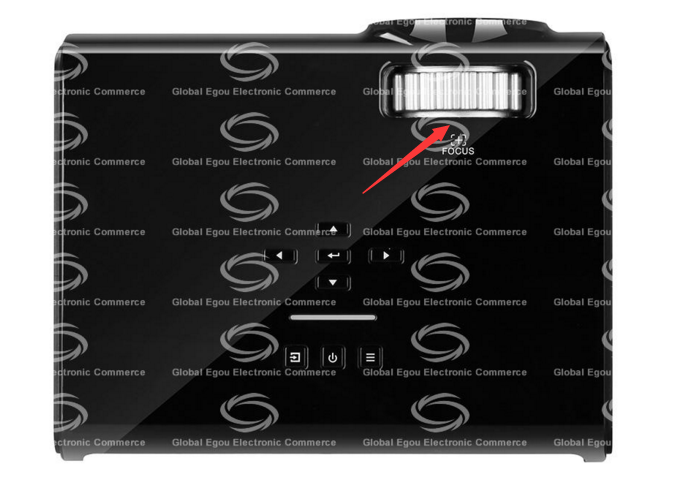 The projection can be synchronized to the screen on the phone via wired and wireless on-screen functions.Wired, you need to buy a MHL line yourself.Wireless, through the same screen APP, projection and mobile phone connected to the same wifi. Hi! 1. What zoom capabilities does projector have? 2. Will there be support after purchase possible? I see there is a tv input. Does it work in both versions (with and without OS)? What kind of signals can the projector handle in this input? A12 with and without OS has analog TV function, which can directly connect the customer's home wired cable to the projector's TV interface. The projector's channel is switched to the TV channel, and it can be used. does this projector (no OS version) support 3D? Yes, it can support 3D. Hello. I want to know how many gigabytes does the sd card slot support. and i also want to know what type of SD card this item supports. It can support FAT32 format 64GB SD card. can this projector play 4K videos? try and tell me. It supports 4K video playback only in android channel mode. can i ceiling mount the projector? You can ceiling mount the projector. Ok! But in the ads of both models say that comes with Android OS. In the ads, the specifications are exactly the same between the two models. This item comes without OS. Hello! What's the difference between this model and model A12 Plus? Thank's! The model A12 Plus comes with Android OS. will this work with ps4? Yes ,this item is compatible with PS4 . Hi, what is the native resolution? Native Resolution: 1280 x 720.